As climate negotiators were discussing words and commas in preparation for implementing the Paris agreement at one area of the Bonn climate conference in Germany, another zone is reminiscent of a trade fair – with countries and companies offering green solutions. But while many propose reducing carbon emissions in the coming years, one exhibition offers a solution for a longer timeframe. “We are trying to replicate the energy of the sun,” engineer Shakeib Ali Arshad told this website earlier this week. 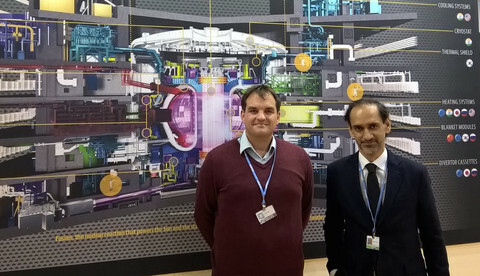 Arshad works for Fusion for Energy (F4E), an EU organisation that contributes to a complicated, ambitious international project to create fusion power. Fusion is the process of colliding the nuclei of hydrogen atoms, a reaction that occurs naturally in the sun – hence the comparison. “It’s safe, clean, and long-term,” said Arshad. The fuel for the fusion reactor, hydrogen, can last millions of years, he said. The physics has proven possible but at small scale fusion requires large amounts of energy. The current challenge is to prove that a fusion reactor can be built which produces more power than it consumes. It is called the International Thermonuclear Experimental Reactor (ITER) and it is being built in Europe, in southern France. The European Union is paying for 45 percent of the material, with the rest being provided by China, India, Japan, South Korea, Russia, and the United States. “ITER is a very big project, beyond the capacity of any one player to build this on their own,” said Arshad. “This machine is perhaps the most complex machine that humans have tried to build,” the British scientist noted. Only the international space station and the Large Hadron Collider at the European Organization for Nuclear Research (CERN) are perhaps comparable in their intricacies, he added. It has been marred with some delays and revised budgets: earlier this year the EU and its six global partners agreed that the budget will be some €20 billion. On Monday (13 November), the European Court of Auditors said in a report about 2016 accounts that the money spent on the European team, F4E, was all “legal and regular”. However, the auditors noted that the UK decision to leave the EU and Euratom means that the contribution of the UK to the project will have to be part of the Brexit negotiations. “This may have a significant effect on the future activities of the F4E Joint Undertaking and the ITER project,” they said. But according to Arshad, the point of no return has passed. But a commercially viable power plant running on fusion, that is another story. It will likely have to be even larger than the ITER machine, which will be 30 metres tall and 30 metres wide, and have a weight of around 23,000 tonnes. “Right now we are moving from physics to engineering problems. Then we have to move from engineering to commercial problems in that last stage,” said Arshad. 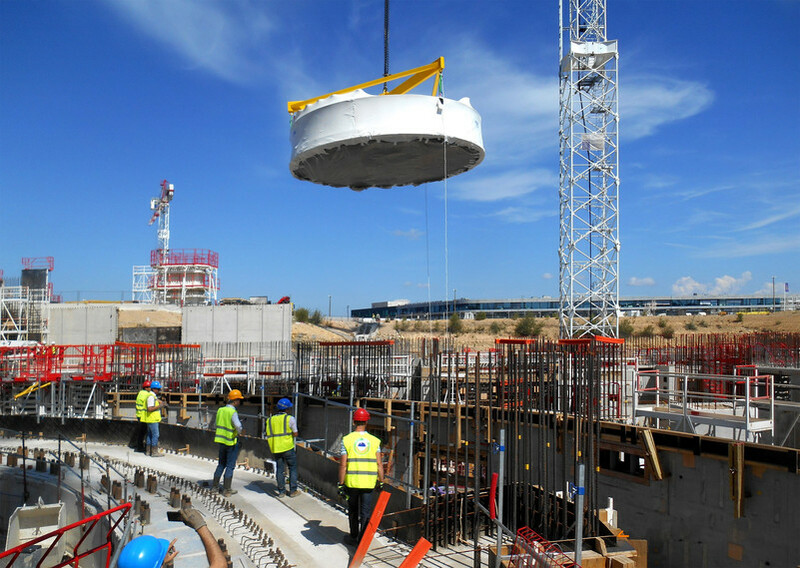 The ITER machine is expected to be completed by 2025, when experiments can begin, lasting perhaps two decades. The first reactor that will demonstrate commerical viability will probably not be built before 2050, said Arshad. But he added that it is not a question of “if”, but of “when”. Does Arshad think he will be living in a retirement home that has power provided by a fusion reactor, this website asked? “Probably not at that stage. I’m older than you might imagine. I’m 51,” he said, laughing.